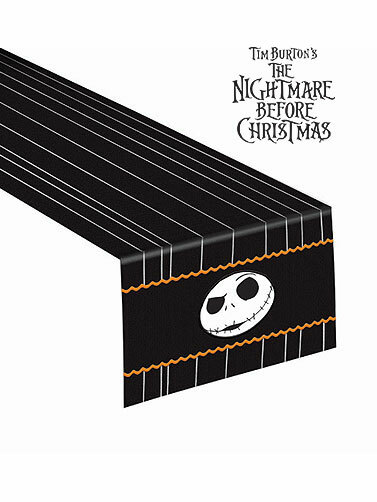 The Nightmare Before Christmas Table Runner will let you set a table ready for a king, the King of Halloween that is. Black fabric table runner with white stripes and orange accents. The face of Jack Skellington is printed on both ends. Nightmare Before Christmas Table Runner measures 72"L x 14"W.